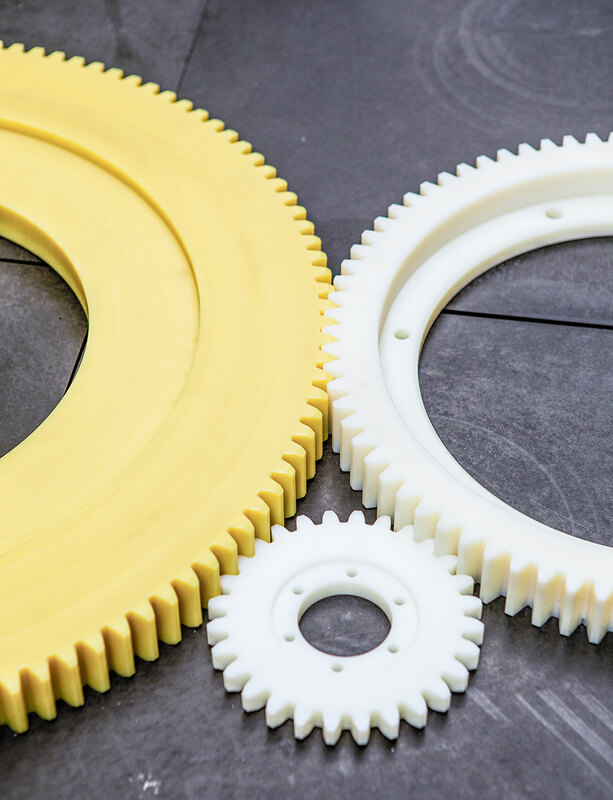 The customisation of gear wheels made from selected plastics have long been part of ISO-TECH’s program. The basis is provided by particularly abrasion-resistant and durable materials such as PA 12, PA 6 or POM. Besides a low noise level, the corrosion resistance and wear resistance are appreciated. Whether spur gears, toothed racks, elliptical wheels or bevel gears – precision plastics like the above mentioned are suited for various industrial applications. Both in terms of maximum dimensions (up to 910mm diameter) and the maximum number of teeth (up to 400), we can offer you a wide range of services through the use of modern machinery.